Braise is a Milwaukee restaurant of the farm-to-table variety, but it is much more than that: a CSA (community supported agriculture), RSA (restaurant supported agriculture), culinary school, and more. Across all its different functions there is a core mission though: to bring good food to the people of Milwaukee, and by good we mean more than good tasting, we mean food that is good for the environment, for you, for the community. Braise has helped the community including restaurants and farmers, now it needs the community's help. In 2016, Braise RSA will spin off from the Braise umbrella to form a co-op along with farmers, food producers and other interested persons or groups in the area to create a Food hub. 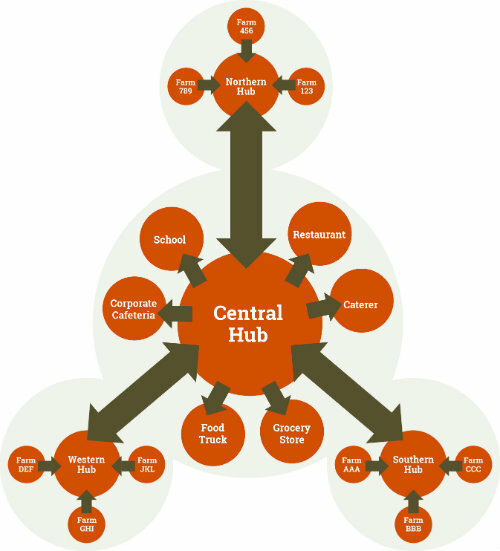 Food hubs help local farmers get their products into the hands of buyers in a simple, efficient manner, make farms more profitable, and help keep jobs and cash in the local community. However, Braise needs to be out of their current warehouse space in Milwaukee in February 2016 and they need your help to procure the new building. To achieve this, they have created an Indiegogo campaign for people in the Milwaukee community to support them. Visit the campaign page to learn more about what they do, their needs, and how you can support them. A short video there explains it all well, its under 3 minutes and worth your time to understand RSAs and Food Hubs and how Braise fits in to it all. Please visit, read and watch, and consider supporting this Great Milwaukee endeavor.